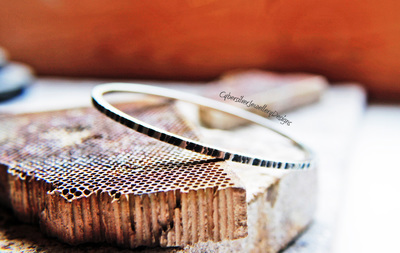 This lovely solid silver bangle features my tree bark design. 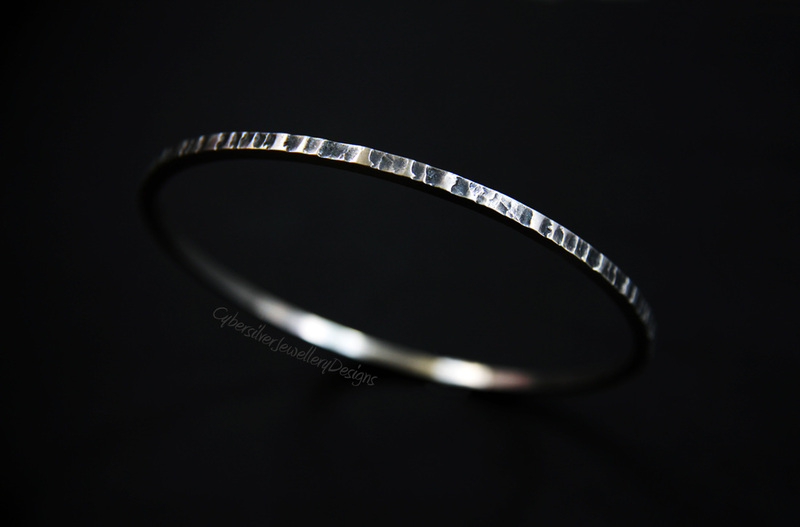 The bangle is entirely handmade from square section silver and the textured surface has been oxidised, highlighted and waxed with a microcrystalline wax. 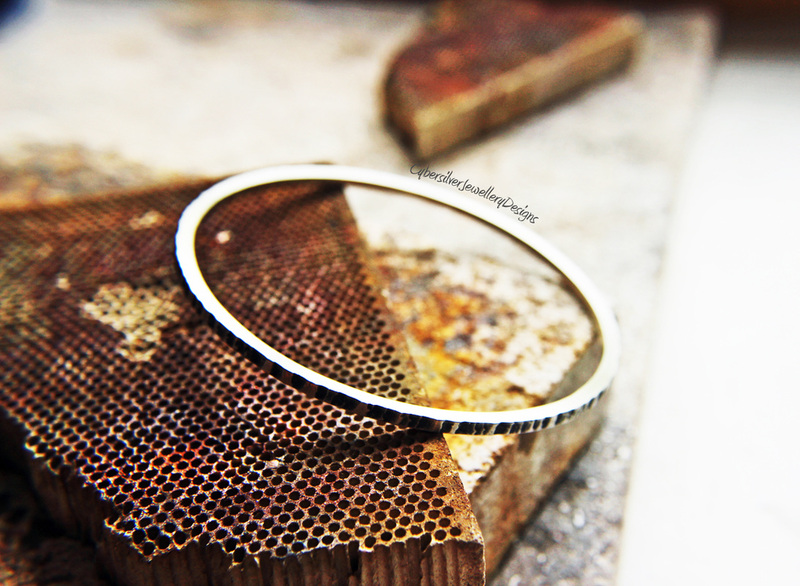 Fully hallmarked by Goldsmiths of London. 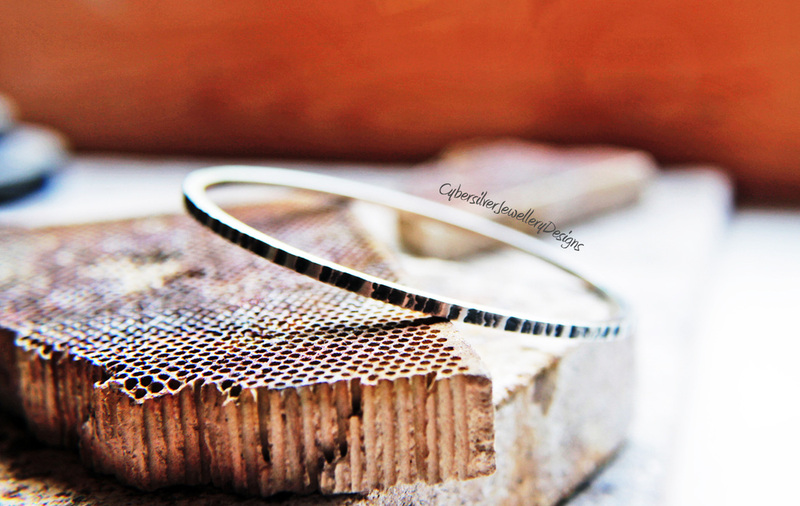 If you would like a similar bangle in a different size, please feel free to contact me. 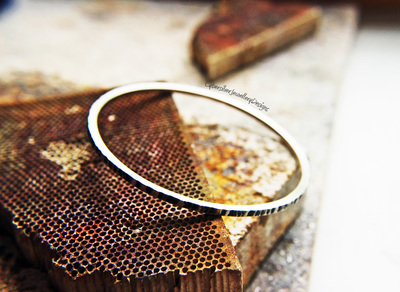 As each bangle is handmade to order, please allow up to 15 working days for your order.